Two new phones early in 2011? Those rumours that there are branded 'Facebook phones' in development just refuse to go away, with new reports emerging that INQ Mobile is currently working on two such devices. Bloomberg cite three separate (unnamed) sources claiming to be familiar with the project, who suggest that the Facebook-branded mobile phones will be launched in Europe early in 2011 and in the US later next year. Facebook and INQ Mobile Ltd are also said to have negotiated a network tie up with AT&T in the US, according to Bloomberg's sources. "People are increasingly updating their status when they're on the go," noted Augie Ray, an analyst at Forrester Research. "Facebook is a very popular application on every single smartphone in the country." For its part, Facebook has continued to deny the rumours, with spokesperson Jaime Schopflin, saying that the company's current mobile phone strategy was looking at "deeper integrations with some manufacturers." A suitably vague response, as many have noted, which could well be interpreted in numerous different ways. 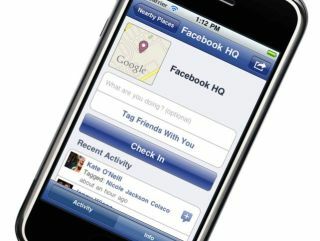 Facebook declined to comment on more specific plans for branded handsets. "We've been working with INQ for a couple of years now to help them build a deeply integrated Facebook experience on their devices," Facebook said in an e- mailed statement. "While we can't speak for their future product development plans, we can say that our view is that almost all experiences would be better if they were social." One of the new phones is said to feature a Qwerty-style keyboard and touch screen. The second device is said to resemble Apple's iPhone, being solely touchscreen based, according to Bloomberg's sources. We have contacted both INQ Mobile and Facebook for further comment on this story.